(Victor Valley)—Eminem is arguably one of the most well known rappers on the planet, and for good reason. The motor-mouthed MC from the Motor City has made an impact on the rap game that nobody can argue: whether you like him or not, the man can rap. With the release of Shady XV, the hot headed wordsmith celebrates 15 years of his label, Shady Records, in grand fashion with a 2 disc set. How does this anniversary celebration measure up to the milestone albums Marshall Mathers has released throughout the years? When it comes to songs that include Eminem, the album comes alive. The first disc is all new music from Eminem and his Shady Records artists, including Bad Meets Evil (Eminem and Royce Da 5’9), D-12, Slaughterhouse, Yelawolf, and more. With the title track, Eminem weaves in and out of a bouncy track with the punchy, witty lines he’s known for. It’s a great way to start the album. 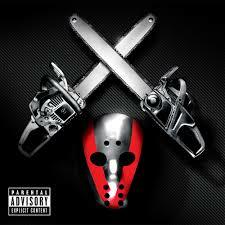 “Psychopath Killer” boasts Eminem alongside Slaughterhouse and Yelawolf with a chilling, dark romp through a sinister beat. I miss these type of songs in rap these days, as this is one of the standout hits for the album. “Die Alone” and “Fine Line” are two more major standouts, as the quality of the beat matches Eminem’s special brand of wordplay. Sadly, when Eminem isn’t present on a track, the quality goes from amazing to average. “Down” by Yelawolf and “Bane” by D-12 are examples of songs that are okay, just not up the quality of “Fine Line”. The second disc is the greatest hits disc, and that suffers as well, as some tracks really can’t be considered “hits”. For every memorable track we are happy to see on the album, like “Purple Pills”, “Wanksta” and “Lose Yourself”, there are songs like “Hammer Dance”, “P.I.M.P.”, and “Wanna Know”, which are average at best. Plenty of Shady Records albums had hits, maybe seeing more of modern day classics like D-12’s “Devil’s Night” would have benefited this greatest hits compilation. Nonetheless, Shady XV is a superb album, and a killer deal at 2 discs for the price of one album. I have been hitting repeat on plenty of tracks on here, which is always the mark of a great album to me. I give Shady XV an 7 out of 10: if you are into Eminem and Shady Records, this is a no brainer. If you want to see what all the buzz is about, then you should scoop up this double album and enjoy.